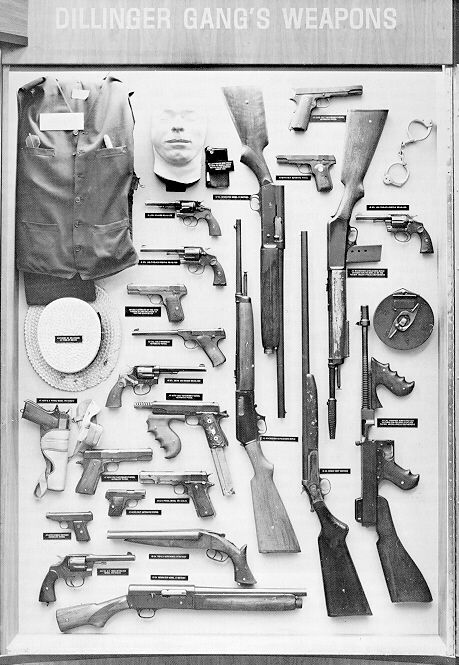 This is a photo of all of the guns possessed by the Dillinger Gang when lawmen took them down. Among the guns are the classic M1911A1 pistol. Also shown are a sawed off shotgun, a Thompson submachine gun, and various other firearms. There is also a hat.